Creating an artfully designed, well-lit environment is integral to any living space. 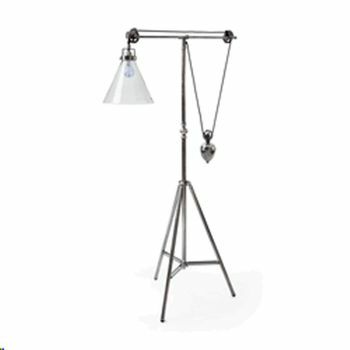 Our selection of gorgeous iron lighting options includes all of the most inspired and unique chandeliers, floor lamps, island lighting, sconces and table lamps anywhere - all hand-crafted with exceptional materials by artisans from around the globe. 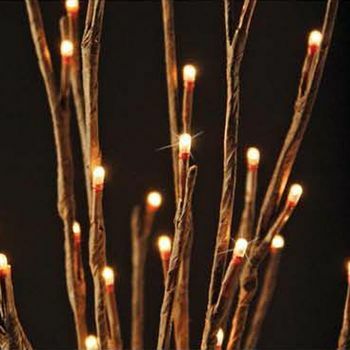 Perfect for earthy or modern homes alike, we can also help set the mood with beautiful lighted branches and lighted twigs that make show-stopping centerpieces and home décor accents. .
Our best-selling rod iron lamps are the ideal accessories for rooms that have insufficient overhead or natural lighting. Sturdy, structured bases are designed with intricate iron-working to create a functional work-of-art in any space. 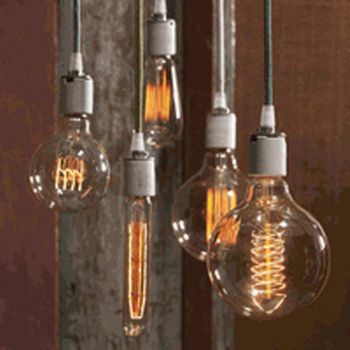 We also have a great array of industrial-style lighting - including affordable Edison bulbs and industrial brass fixtures - for upscale, utilitarian spaces. Additionally, you'll find flameless candles for safe illumination at home, work or during special events. Lighting can make or break a room. 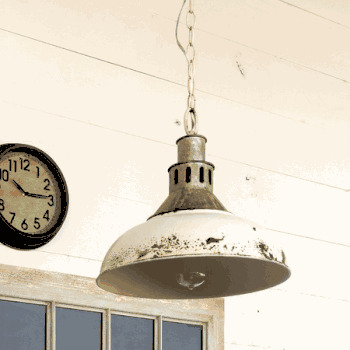 When planning your lighting consider the basic types; ambient, accent, task, decorative and natural. A properly light room will incorporate several layers and types of lighting, rather than just one lone fixture on the ceiling. The proper combination of all types of lighting makes for the perfect living environment. Ambient lighting is the starting point for lighting a space or a room. It is the base or foundation for lighting a room. Ambient light can come from recessed lights, ceiling lights, or table and floor lamps. 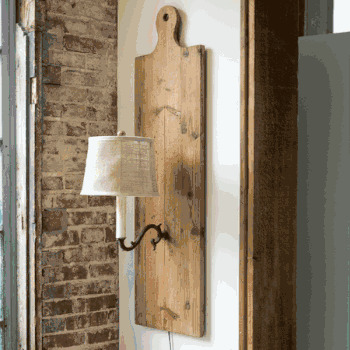 These types of fixtures characteristically give an even, diffuse light level for the space. Accent lighting is directional focused light aimed at an object or feature such as paintings or other works of art to make it stand out. Flood lights, spot lights, track lights and even sconces do a good job at this. Accent lighting should be about three times as bright as the ambient lighting. Task lighting is directional light aimed at a specific area to provide sufficient light to help you perform a certain task such as reading, cooking, shaving, etc. 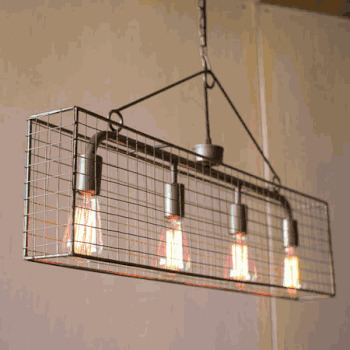 Desk lamps, ceiling pendants, and appliance lights are all good examples of task lighting fixtures. Task lighting should be glare free. And it should make things easy to see without tiring or straining your eyes. 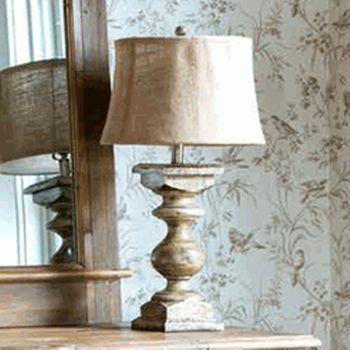 Decorative lighting draws attention to itself and adds to a rooms décor. 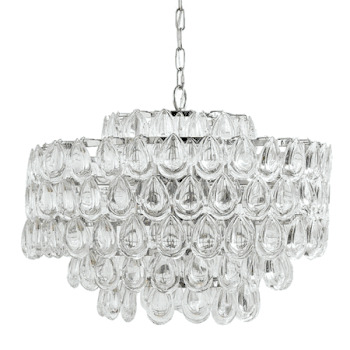 Chandeliers, light strips, pendants, sconces and even candles are all examples of this type fixture. Natural lighting comes in through windows and skylights. Depending on the time of day, season, or weather, it can vary in brightness and intensity.